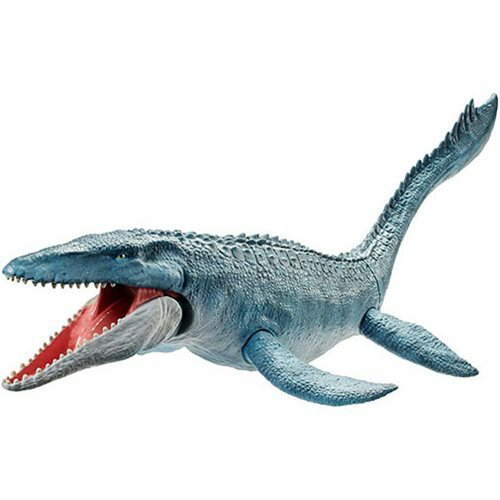 From the Jurassic World: Fallen Kingdom movie comes the Jurassic World: Fallen Kingdom Jurassic World: Fallen Kingdom Real Feel Skin Mosasaurus Figure. The Mosasaurus is a huge swimming creature that appeared in the first movie and now makes a big splash again in the sequel. This action figure is inspired by the movie and comes in a massive size! Ages 3 and up.